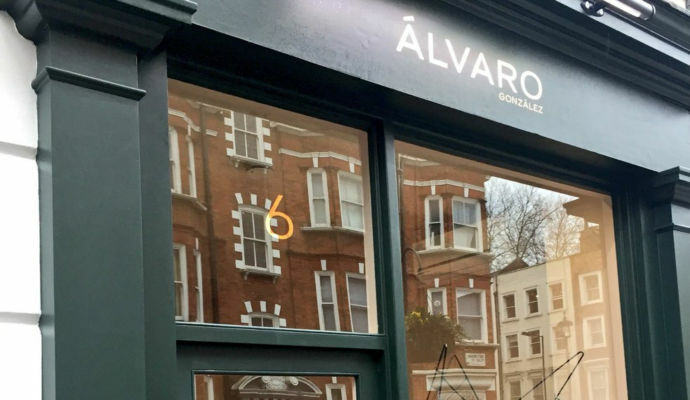 Álvaro González the Spanish-born, Florence-based designer, has opened his flagship retail store at Vigo’s prestigious 6–8 Nottingham Place development in the heart of Marylebone Village. With a career spanning 20 years designing accessories behind the scenes for major European luxury houses including Tod’s, Loewe, Malo, Emilio Pucci, Loro Piana and Valextra, Gonzalez is a secret weapon of the shoe-and-bag boom. Former accessories designer at Valentino and design director of accessories at Jimmy Choo, González steps into the limelight with his eponymous line of leather goods. Richly coloured calf, alligator and stingray skins expressly developed by specialist tanneries have been crafted into sandals, belts, small leather goods and bags by select artisanal workshops around Florence.